Today there is much talk of financial security. The biblical formula in today’s verse, given to Israel but applied to all, begins with a scathing indictment. “Will a man rob God? Yet ye have robbed me. But ye say, Wherein have we robbed thee? In tithes and offerings” (v. 8). What a terrible thing, to rob God. The result of their thievery, in God’s eyes: “Ye are cursed with a curse” (v. 9) such that their financial state was much worse than it would have been had they been obedient. This teaching and promise has not been rescinded (Luke 6:38; 1 Corinthians 16:2; etc.). God’s charge to us as given in today’s verse is in three steps. First, we are told to obey; i.e., “bring ye.” This cannot be considered an option. Secondly, God proposes a test. “Prove me,” He says, give and see if He lives up to His promises. Thirdly, trust His promise to meet our needs. Note that His promise is also threefold. It abundantly covers present needs, for He promises to “pour you out a blessing” unmeasurable in quality or quantity. Likewise, it covers the threat of future loss. “And I will rebuke the devourer for your sakes, and he shall not destroy the fruits of your ground; neither shall your vine cast her fruit before the time in the field” (v. 11). Most precious is His promise to reward obedience and trust with a special relationship: “All nations shall call you blessed: for ye shall be a delightsome land” (v. 12). 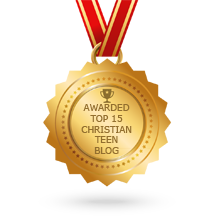 This entry was posted in A CLICK A BLESSING TODAY, CHRISTIAN NUGGETS and tagged Tithes and Offerings. Bookmark the permalink. Your piece seems to suggest that we have to earn God’s provision somewhat and I struggle to find support for this in the bible. Diving straight to Malachi 3: 10 without considering the first chapter and verse to establish context, the subject of the discussion and the reason for the discussion will undoubtedly lead to an erroneous conclusion. We do not treat all other scriptures like this. For example, we do not insist that anyone who has been healed in today’s church go show themselves to the priest and observe the cleansing ritual stated in the law because Jesus told the lepers he healed to do so. Neither do we make it standard that anyone that wants to accept Christ must first sell off all they own; these events had a context. Tithing is part of the law and not a requirement for the New Testament church. It was only required from crops and livestock grown within Israel and never extended to money. But if you are talking about giving in general, that is a completely different thing. With regards to giving we are told in 2 Corinthians 9 that anything we give will be accepted as long as it has been given willingly and cheerfully. Whatever is given is accepted in love. Where there is love there is joyBe blessed to know the joy of giving for the receiient (even Father God) and the givern. What a privilege! A powerful truth. Tithing is one of the easiest ways to experience Gods miracle working power.